Questions about E-rate? If you are heading to ALA's Annual conference next week in Chicago, you're in luck. USAC is sending library expert, John Noran, to the conference to answer your questions and help you through your concerns. John will hold Office Hours on Saturday, June 24 from 1:00-5:00 at the Networking Uncommons. You can swing by and sign up for a slot or just stop in and see if he's free. Whether you're new to the program or a seasoned applicant, get free advice on the spot. Bring any and all questions! Did you know most Michigan educator certificates expire June 30th of any given year? 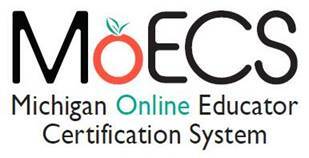 Educators can check expiration dates and renew or progress certificates using the Michigan Online Educator Certification System at www.michigan.gov/moecs<http://www.michigan.gov/moecs>. Not your year for renewal? Use MOECS to manage professional learning for future renewals, view effectiveness ratings and update personal information!